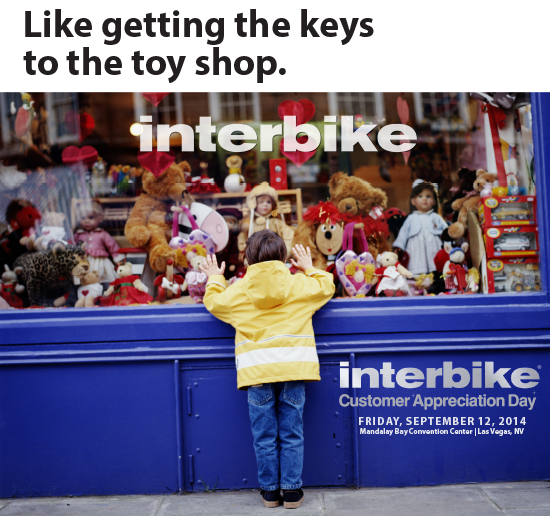 People for Bikes are partnering with Interbike—North America’s biggest bike show—to offer People For Bikes members 50% off the price of admission on Customer Appreciation Day- Friday, September 12. For only $10, anyone can enter the trade show on the day it’s open to the public. Not only is it a massive sea of the latest bikes and goodies for cyclists, you can also meet cycling celebrities and demo bikes on the track they’ve set up outside. You can’t buy any of the products on display, but you can call up your local bike shop and tell them you saw it at Interbike and can’t live without it. We’ll be covering the entire event, live, so let us know in the comments if there’s any specific vendors you’d like to hear more about. We’ll be sure to stop by their booth and get the full story.